Technology and Republican Values in America, 1776-1900. A major theme of American history has always been the desire to achieve a genuinely republican way of life that values liberty, order, and virtue. 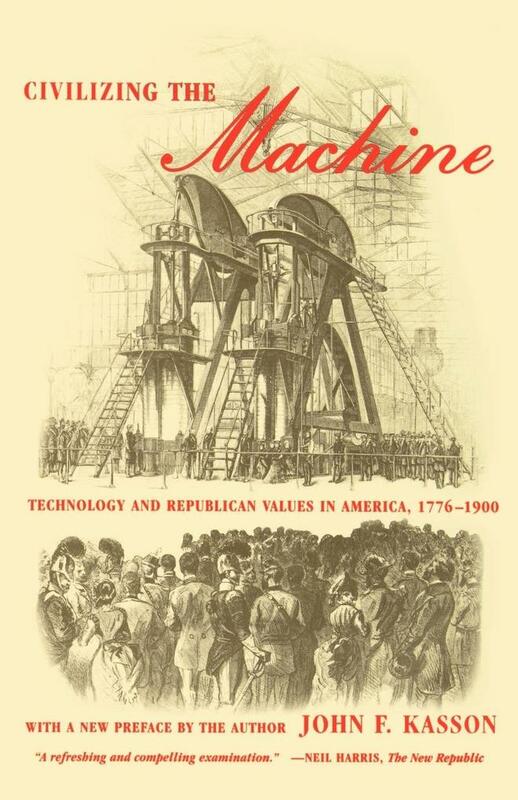 In" Civilizing the Machine," John F. Kasson asks how new technologies have affected this drive for a republican civilization-and the question is as vital now as ever. "Civilizing the Machine" was an innovative and compelling work when it first appeared two decades ago: Kasson's analysis of the technical developments in transportation, communication, and manufacture from the Revolution to the of the nineteenth century showed how technologies were dealt with in sources as diverse as the debates of Hamilton and Jefferson; the factories of Lowell, Massachusetts; the writings of Ralph Waldo Emerson; the prints of Currier & Ives; and the utopian and dystopian novels of Howells and Twain. His profound, wide-ranging inquiry into this central issue in American history is now available again with a new Introduction by the author.